A pregnant mother is rushed to the hospital after a sudden bombing - a story told from within the womb. Working for Short of the Week for over ten years now, I’ve seen shorts told from the perspective of a dog, a slice-of-life captured through the lens of an iPhone, but a story told from inside the womb is certainly a new concept for me. Hakim Ismail’s eight-minute Royal College of Art film Hilal (The Crescent) uses this unique PoV to add a fresh angle on the already much tackled Refugee Crisis and it makes for a powerful watch. 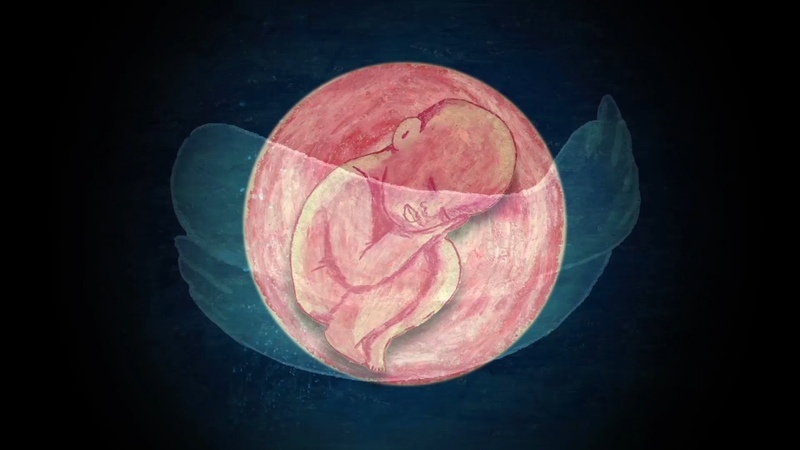 With the original “womb” idea for Hilal coming to Ismail when he pitched it as part of a larger narrative, the animator felt such a strong connection to the scene, he totally committed to it and focused solely on developing this idea into something greater. Looking to make a balanced film focused on war and avoid what he describes as a “finger pointing bravado” that often comes with these stories, the filmmaker decided the perspective of an unborn child felt like the perfect way to maintain neutrality. The perspective of the film is certainly the thing that makes it stand out from the countless other refugee stories we’ve seen and featured, but Ismail still had a lot of work to do to make his film a success and he certainly put a lot of attention into his production. From using a mini-projector screwed on to a rostrum to ensure he could tell his story in oil pastels to working with a voice actor to make the Arabic have a more Syrian dialect in an attempt to add authenticity, the director worked hard to ensure his film was more than a gimmicky PoV piece. Though telling a film entirely from the restrictions of the womb could have meant that Ismail found his creativity limited by these constraints, instead he reveals his production flow was “more free forming in a way that it isn’t traditionally how animation films are made”. Not reliant on finishing animating roughs to start recording the vocal elements and with his concept meaning the sounds weren’t tied to visual queues, he was free to jump into different parts of production when it suited it him most. Whether it was this freedom in production, or the unusual concept, Hakim has created a powerful and memorable short in Hilal. Graduating from the Royal College of Art in 2017, you can follow his work on his Vimeo page below.